The class lasts approximately 2 hours. 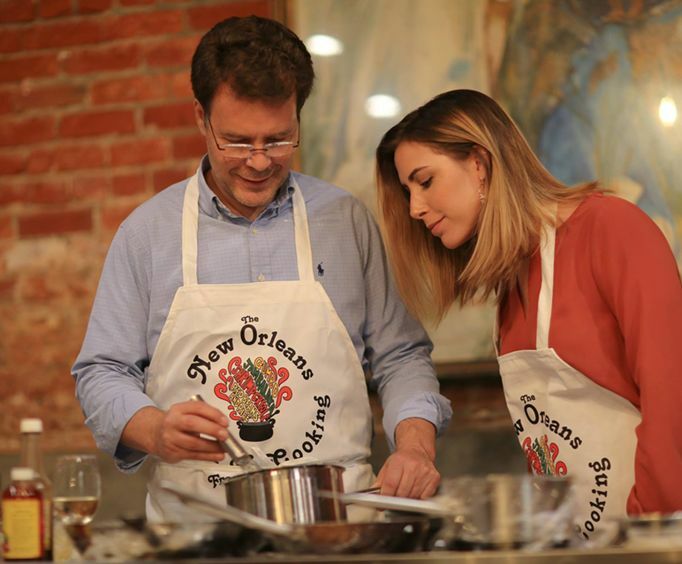 Fans of Cajun food will be thrilled to discover they can join in the tradition of down-home Southern meals at the New Orleans School of Cooking, where visitors will learn to create tasty Louisiana delights. 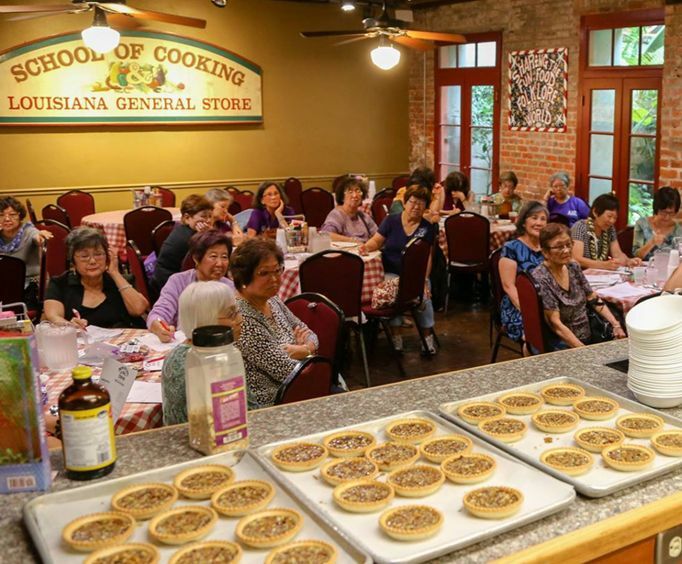 Geared toward learning the basics, this two and half hour open class introduces you to quintessential Louisiana cooking. You'll master favorites such as gumbo, shrimp creole and bread pudding. Of course, every lesson includes a scrumptious praline recipe and demonstration. And, you'll be able to dine on everything that is cooked while sipping on Abita beer, iced tea, lemonade, water, and coffee. Your teacher will toss in some history, as befits a school located in an early 1800s molasses warehouse, as well as fun culinary facts. After class, you can shop in the adjacent Louisiana General Store to stock up on goodies. It's easy to add a little 'bam' to your repertoire and return home ready to amaze and entertain your dinner guests. Delicious and extremely fun! A wonderful time, thank you! "This is a must do event." This is a must do event....Combines new orleans great food and great entertainment. One should ask to be in kevin's class..He is wonderful. Best bread pudding i have ever had and the gumbo was superb. We enjoyed the cooking class very much was informative and entertaining! Best gumbo and jambalaya in town. I didn't care for the pralines. Just a personal choice. Loved the history of the food. It was very entertaining.